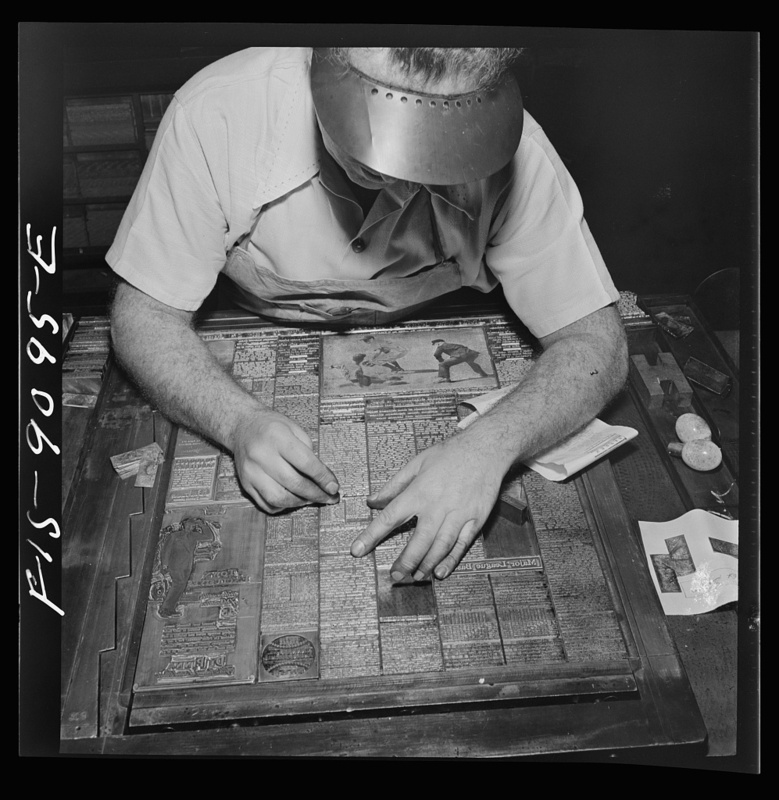 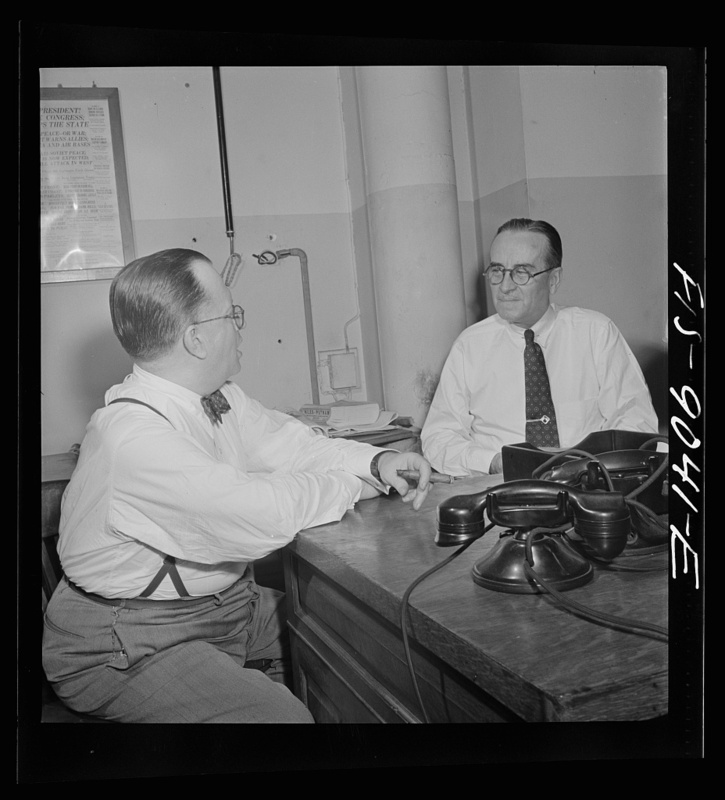 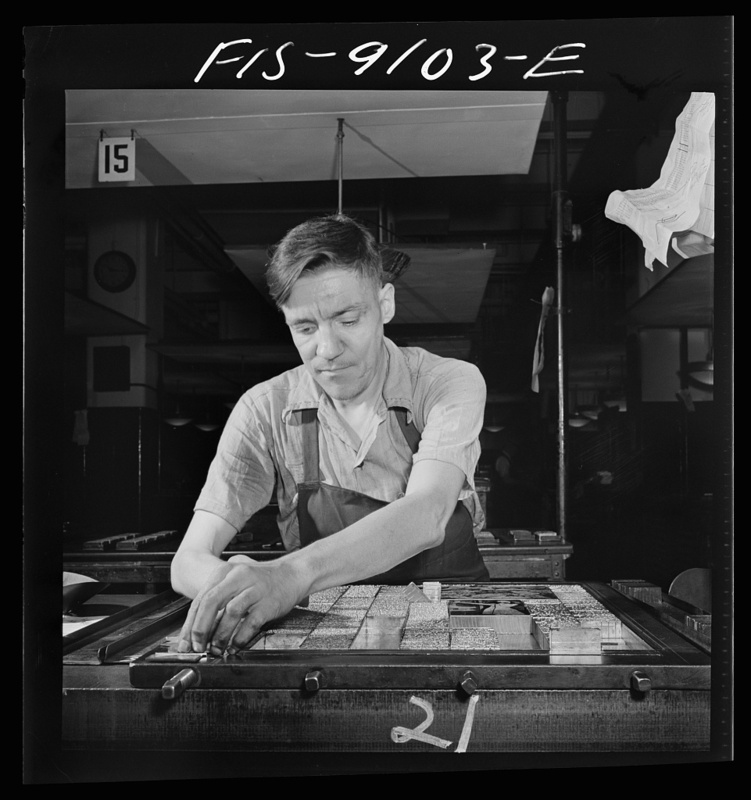 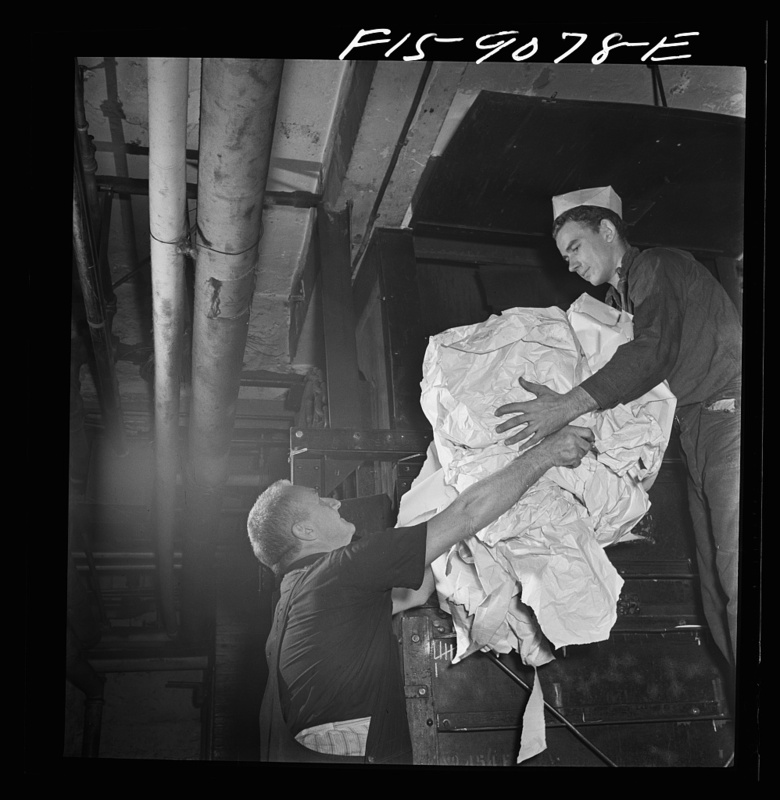 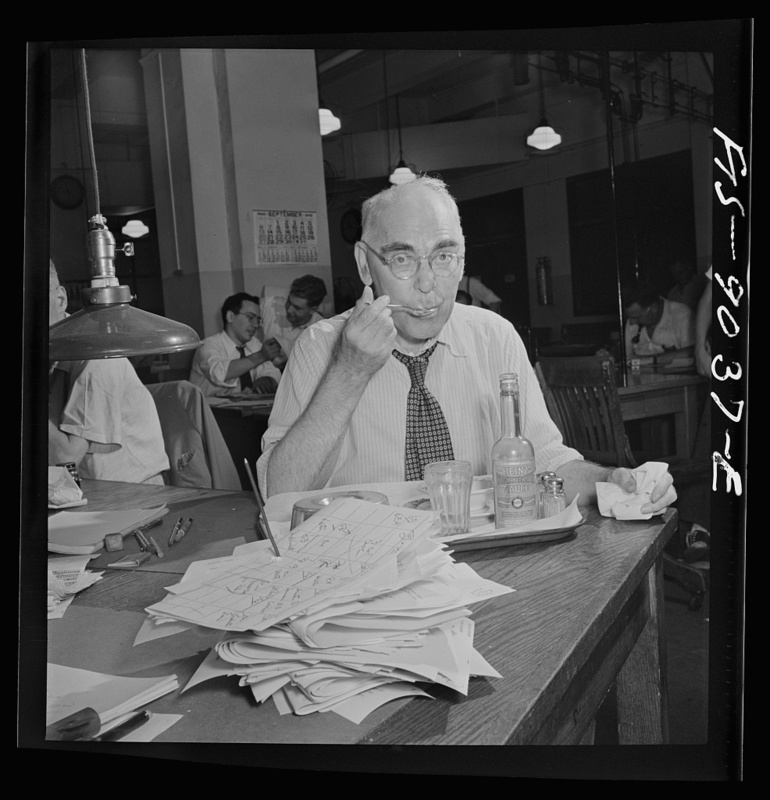 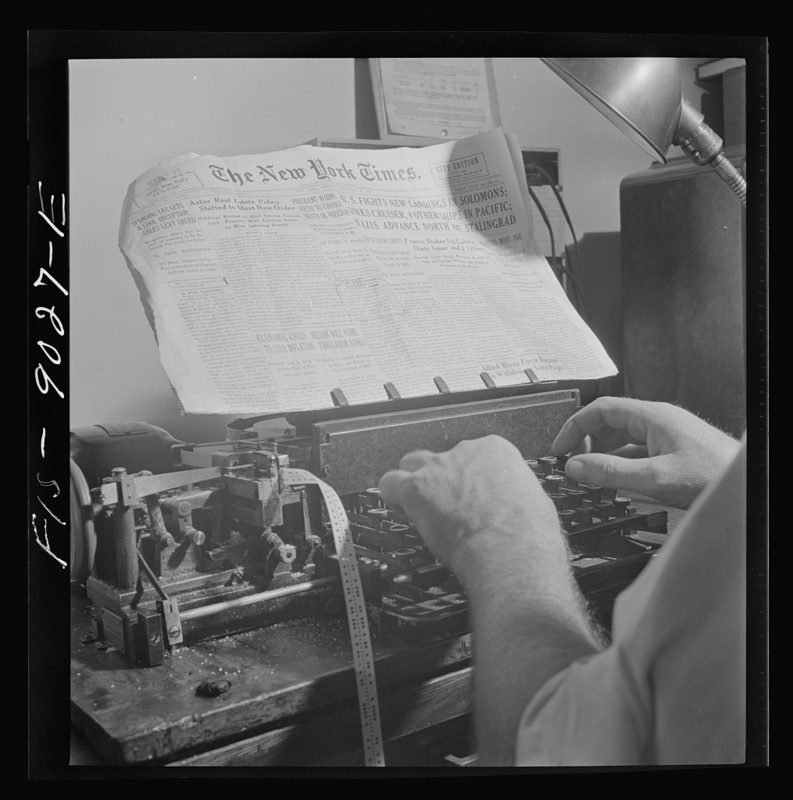 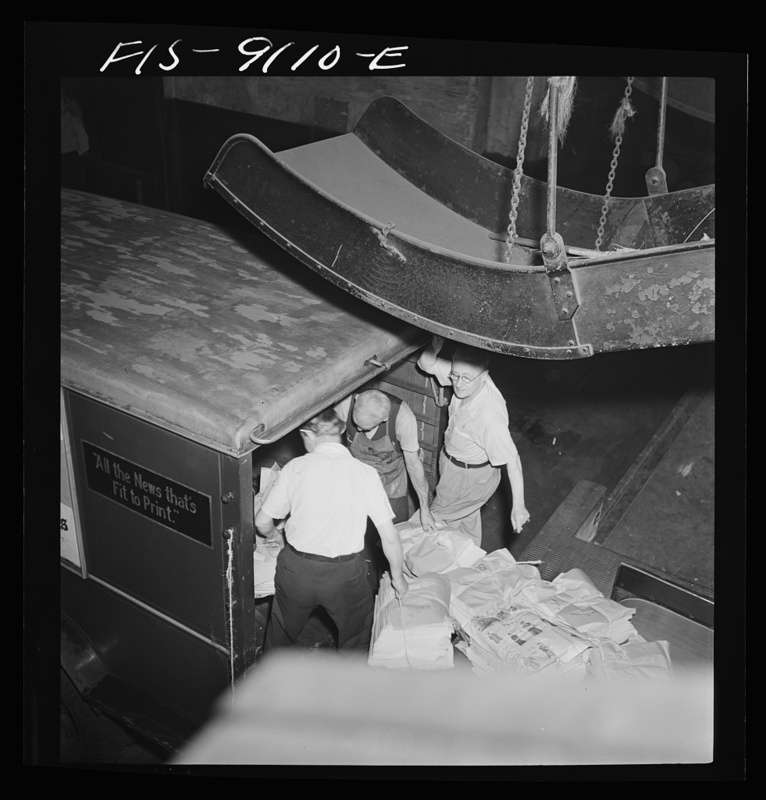 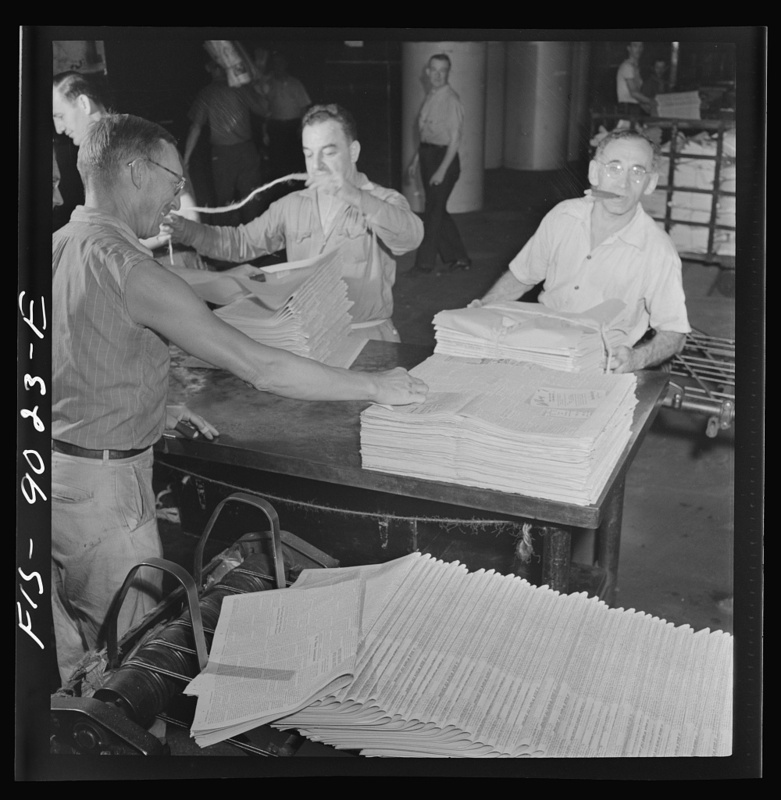 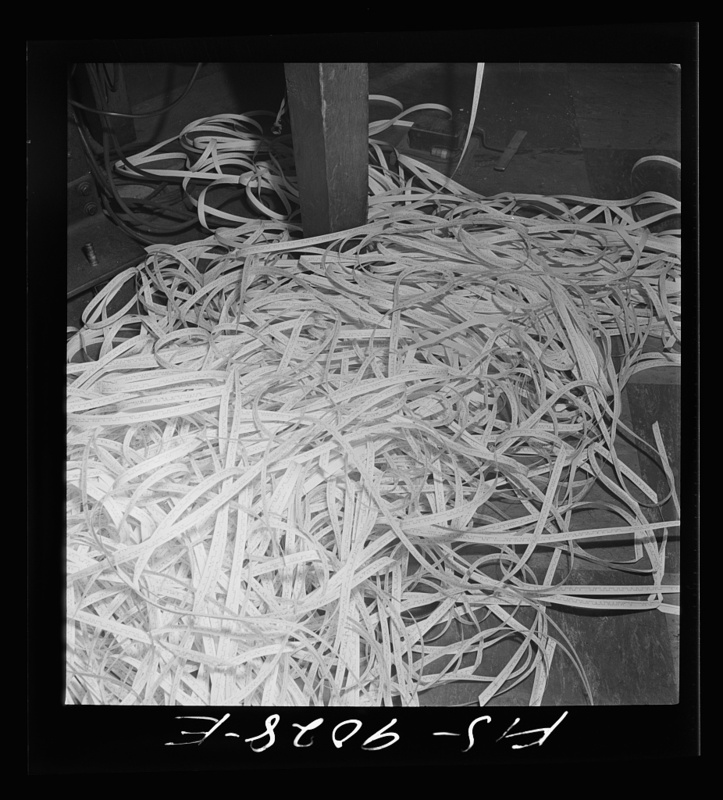 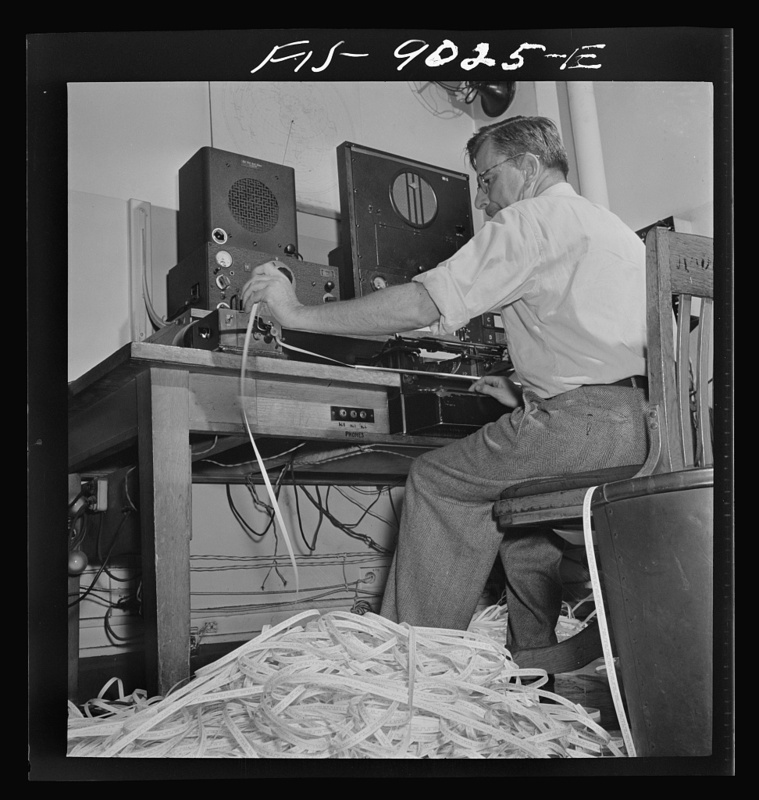 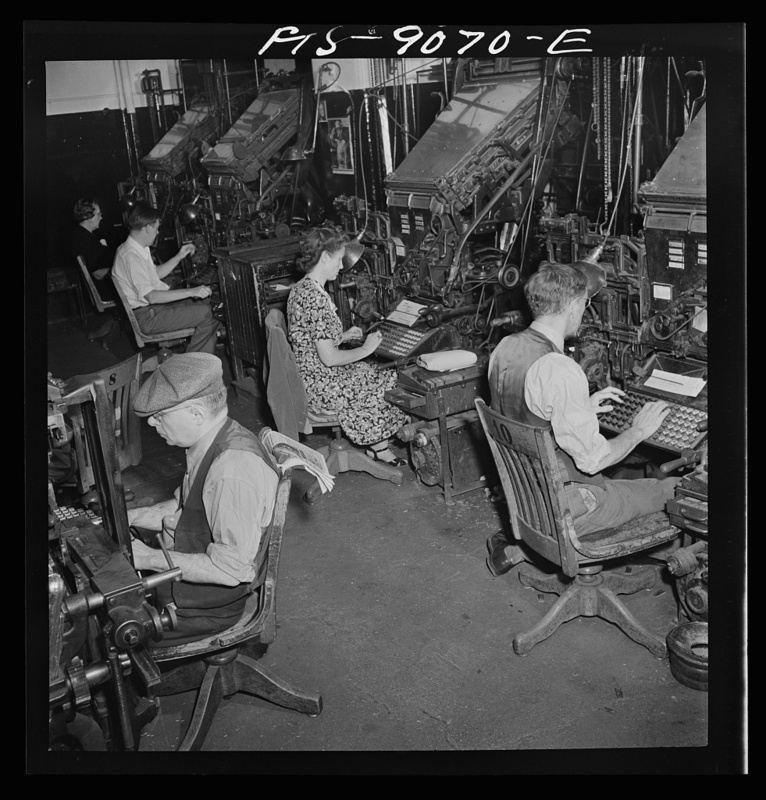 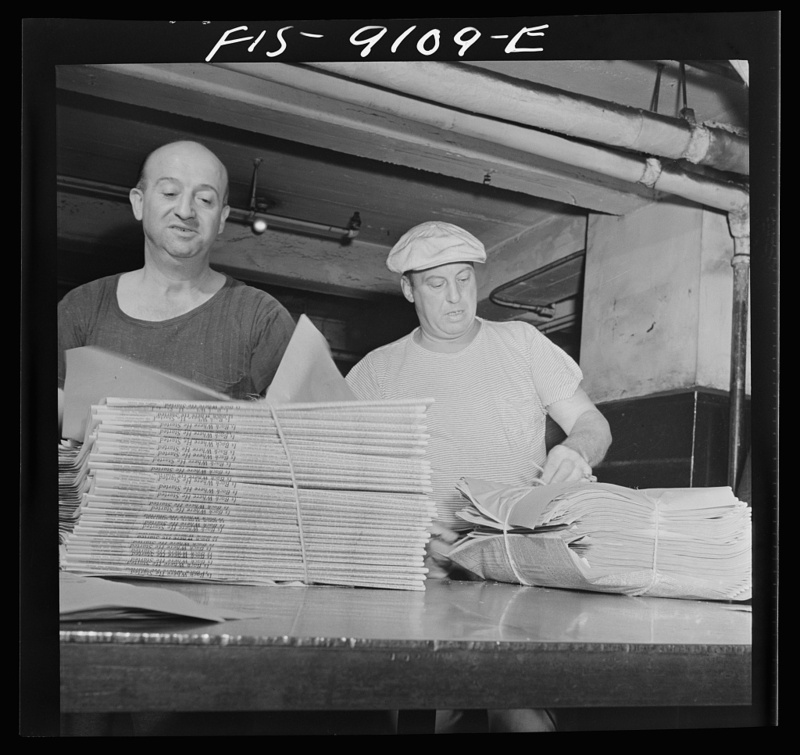 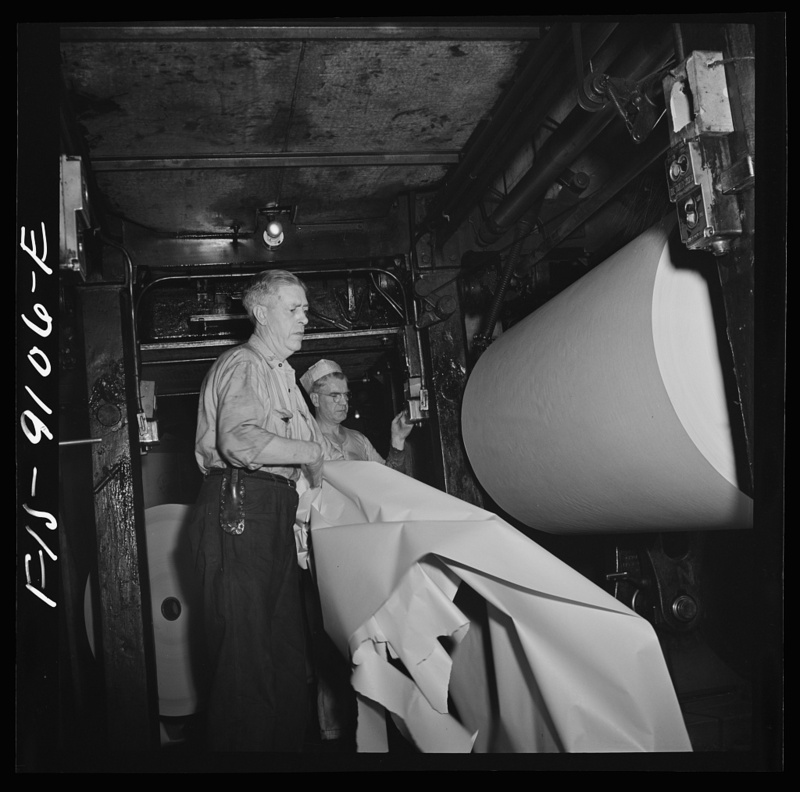 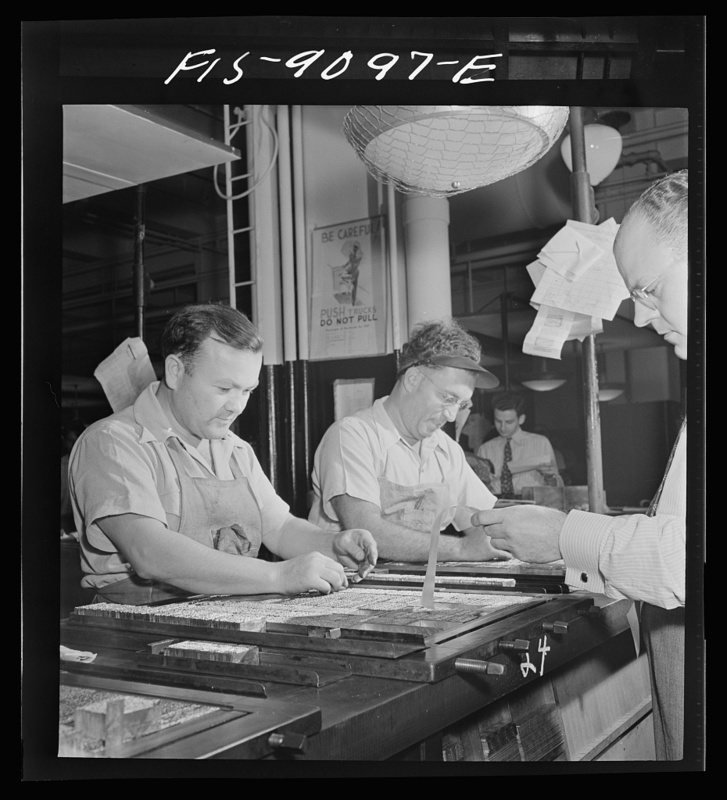 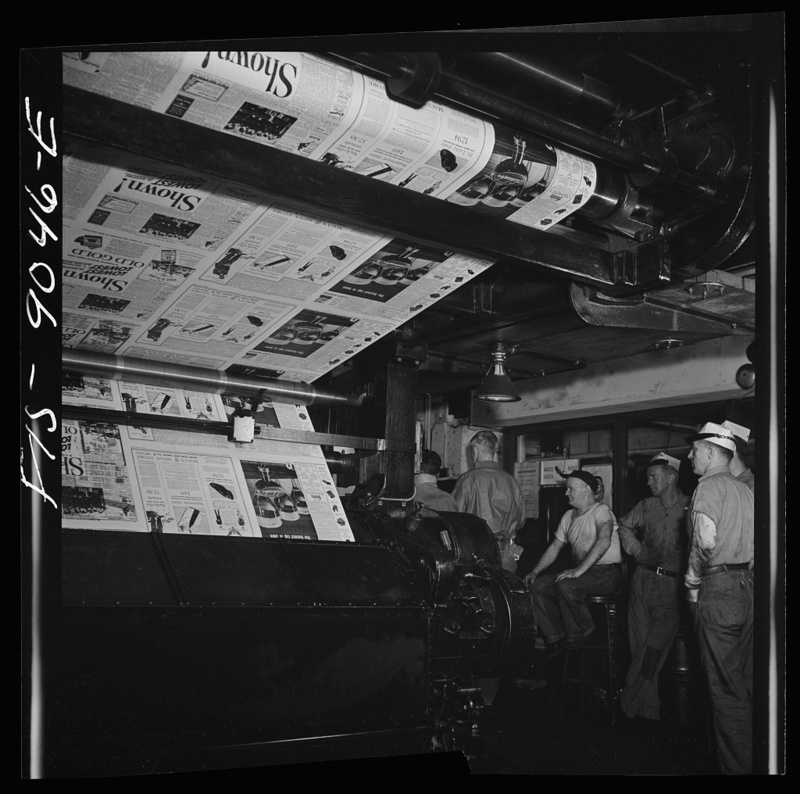 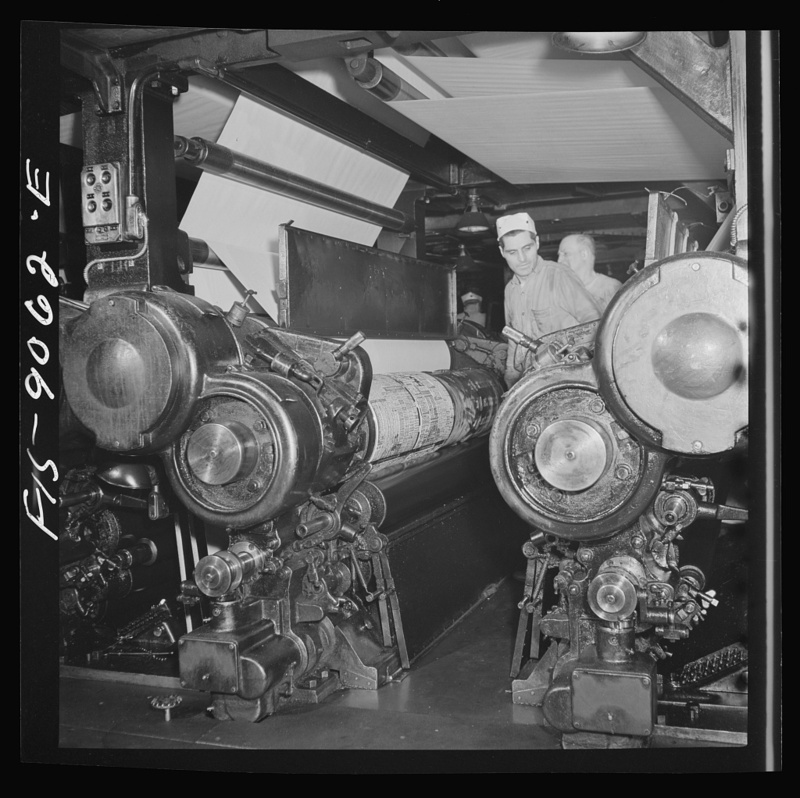 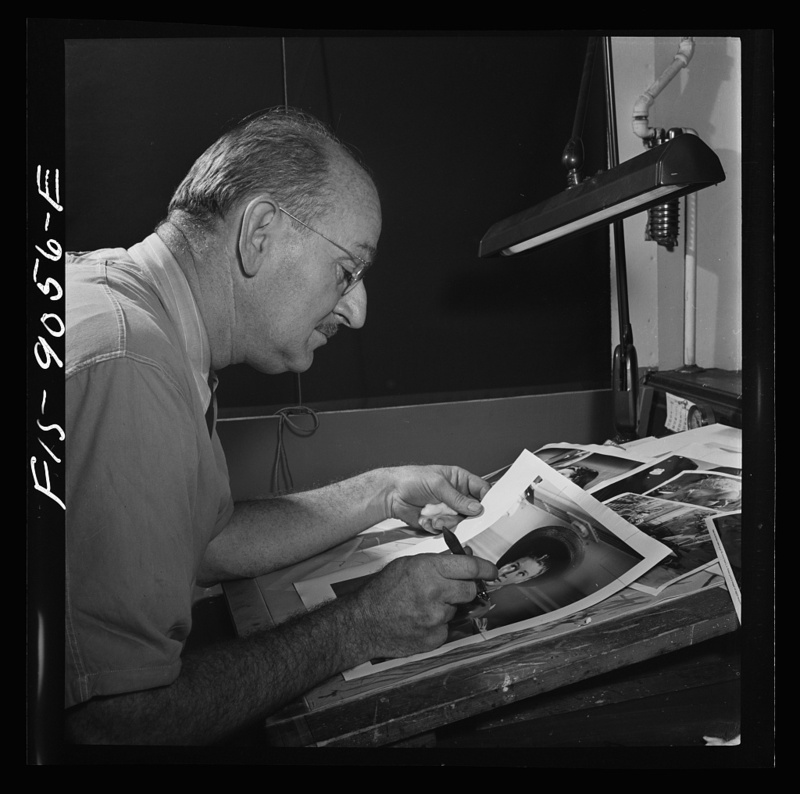 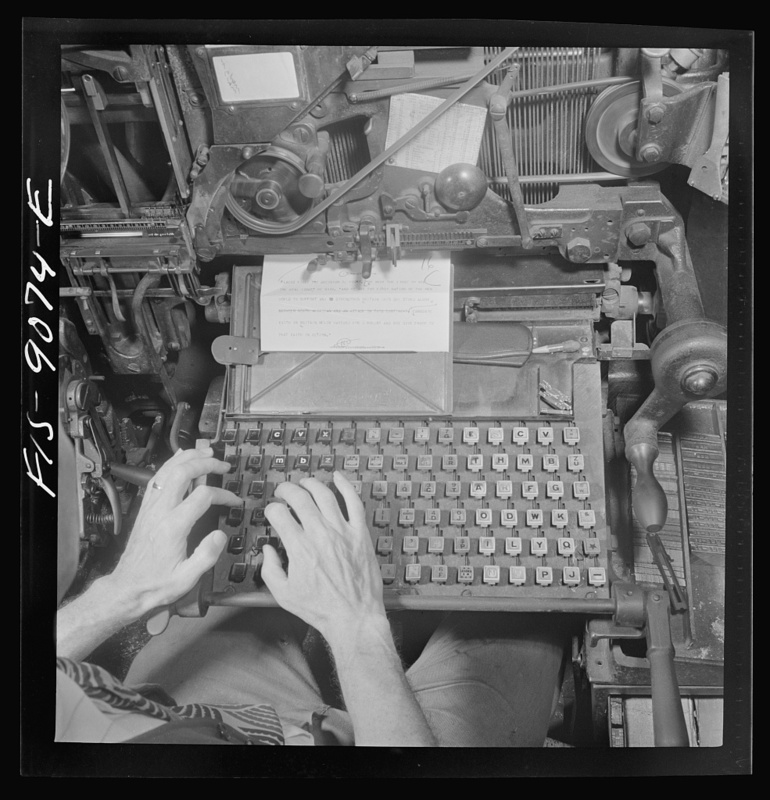 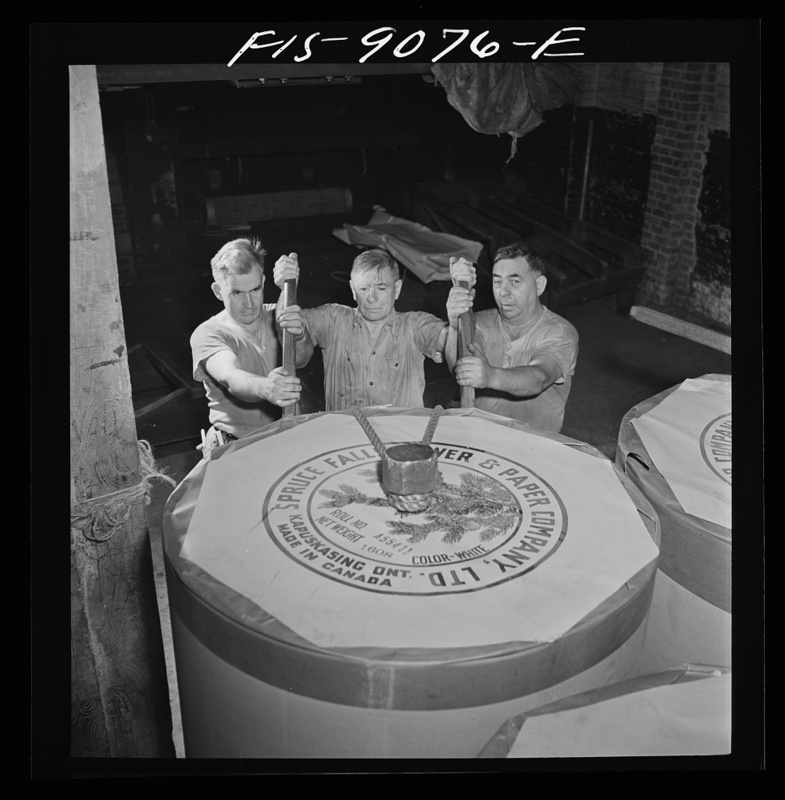 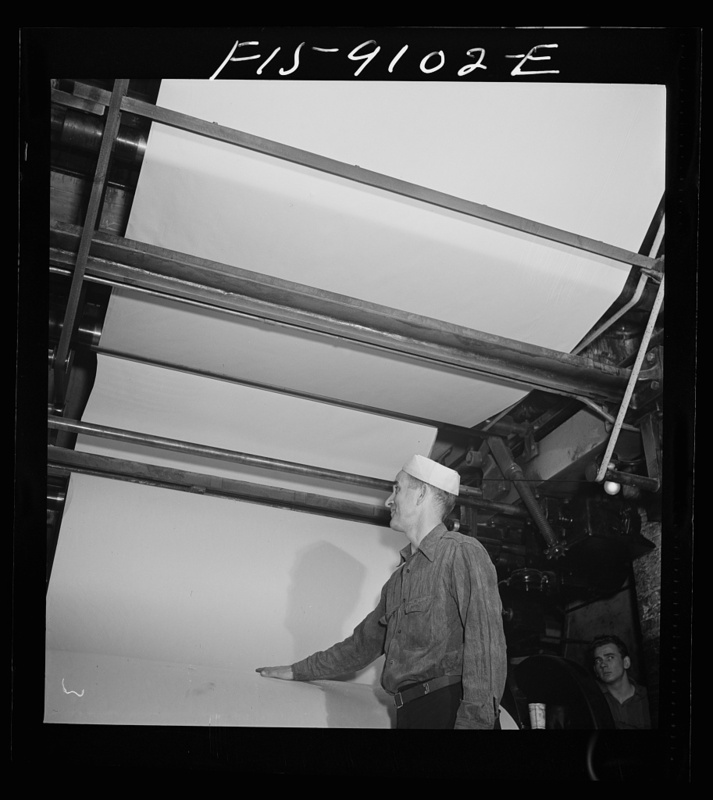 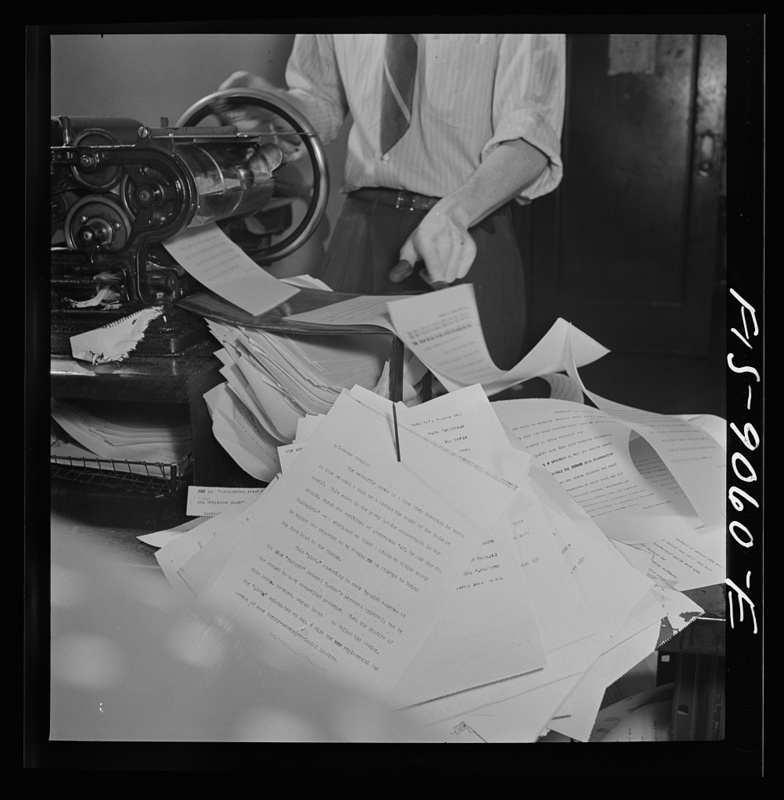 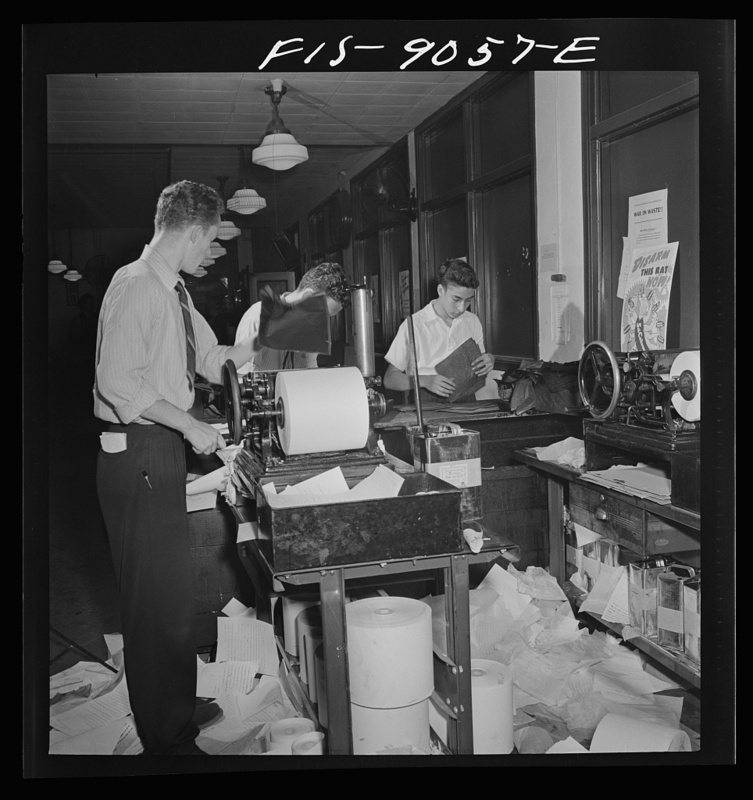 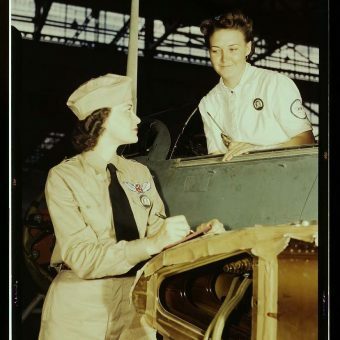 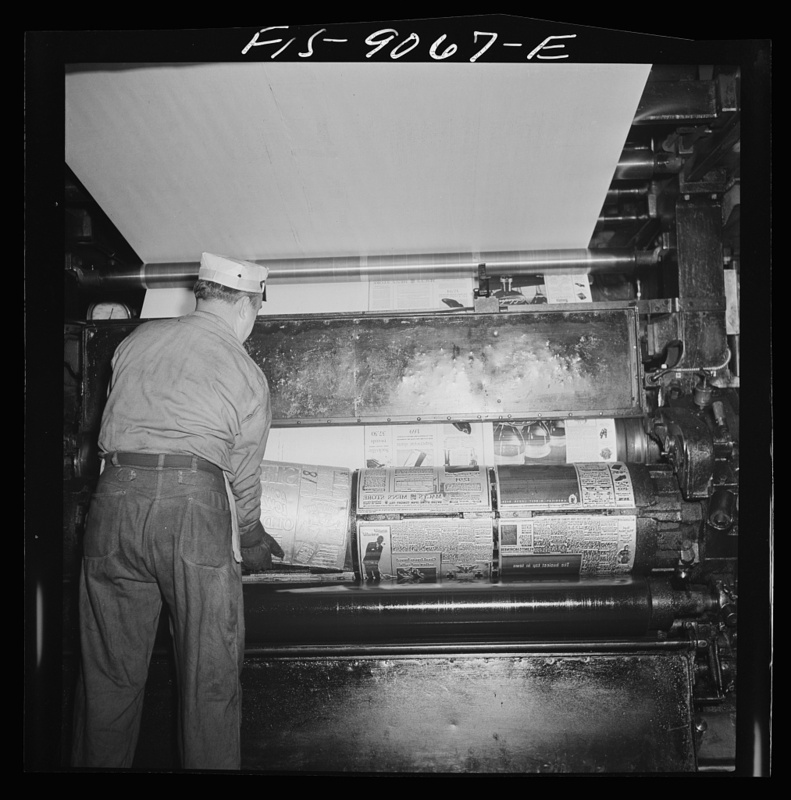 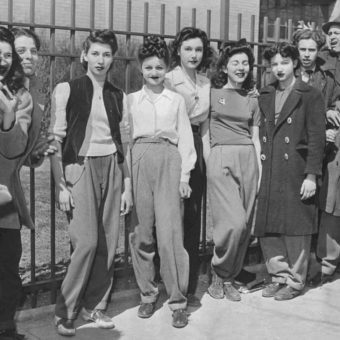 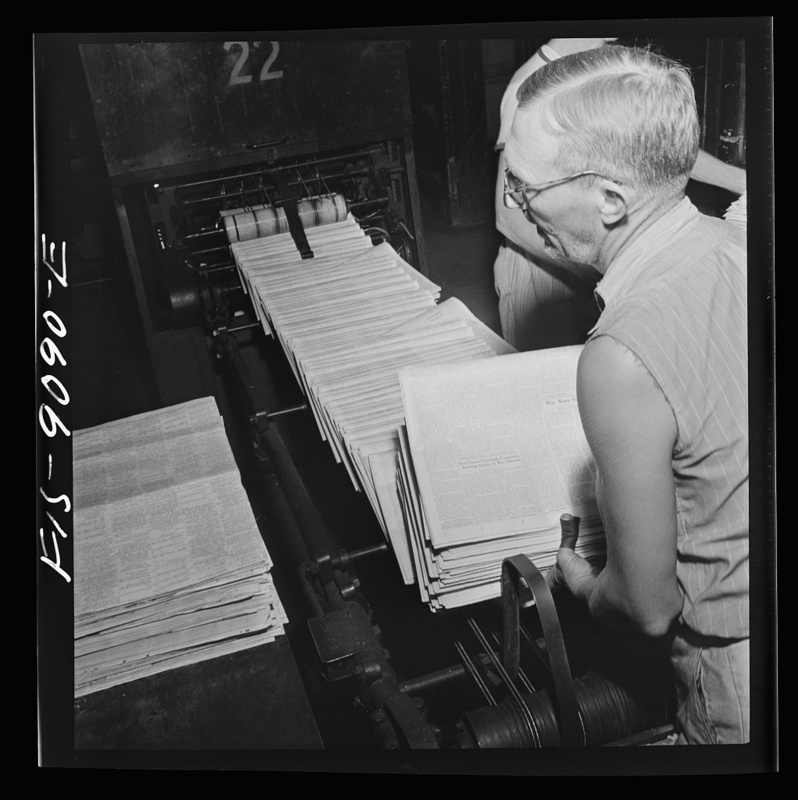 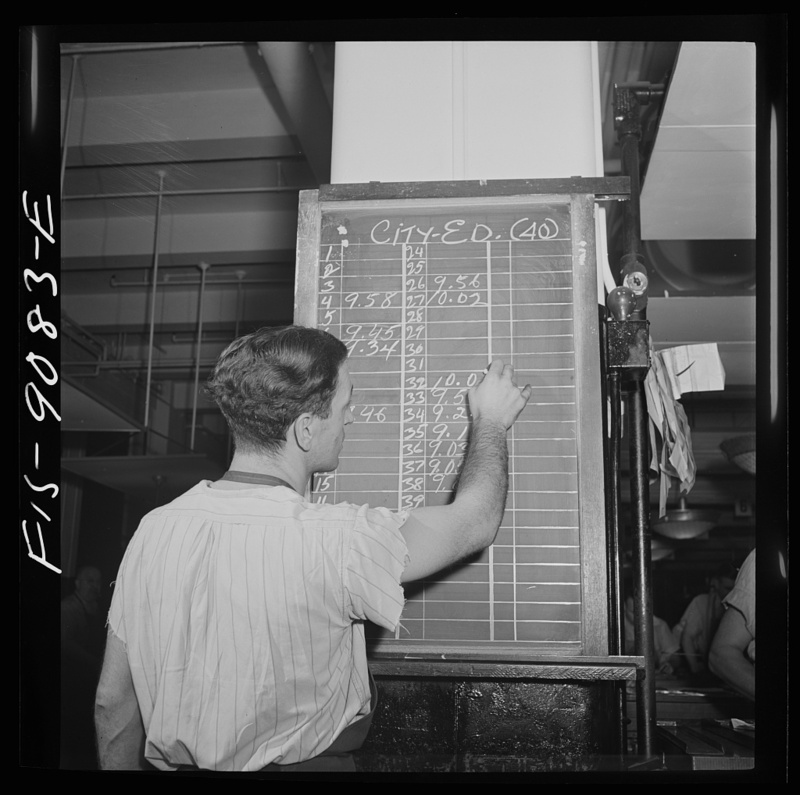 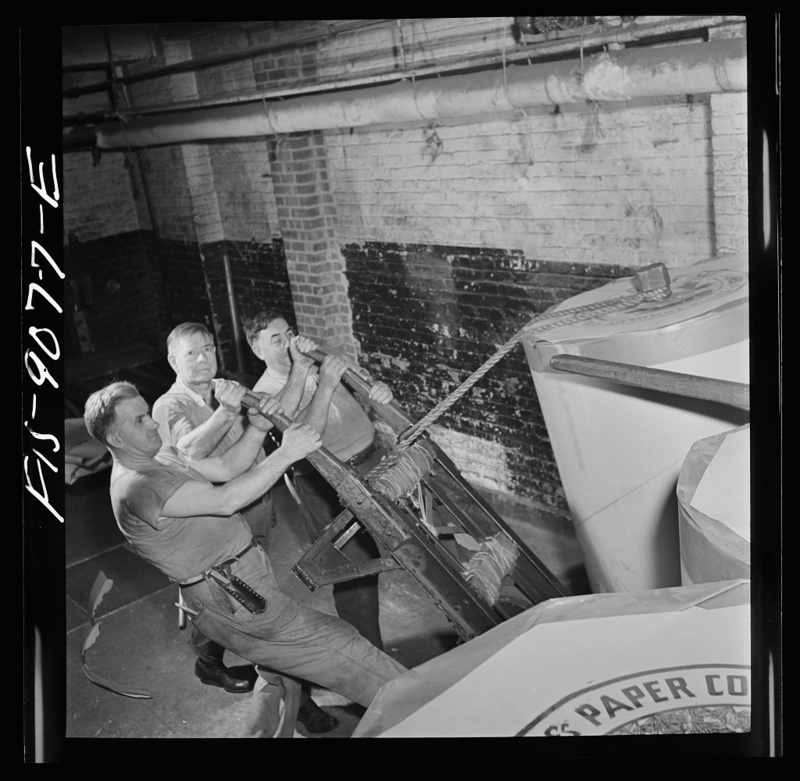 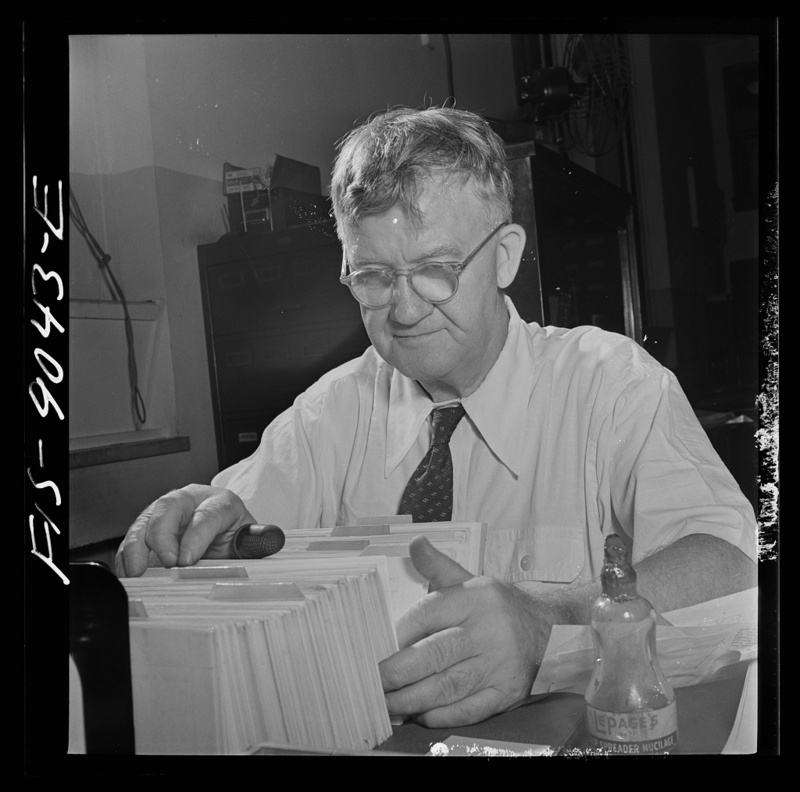 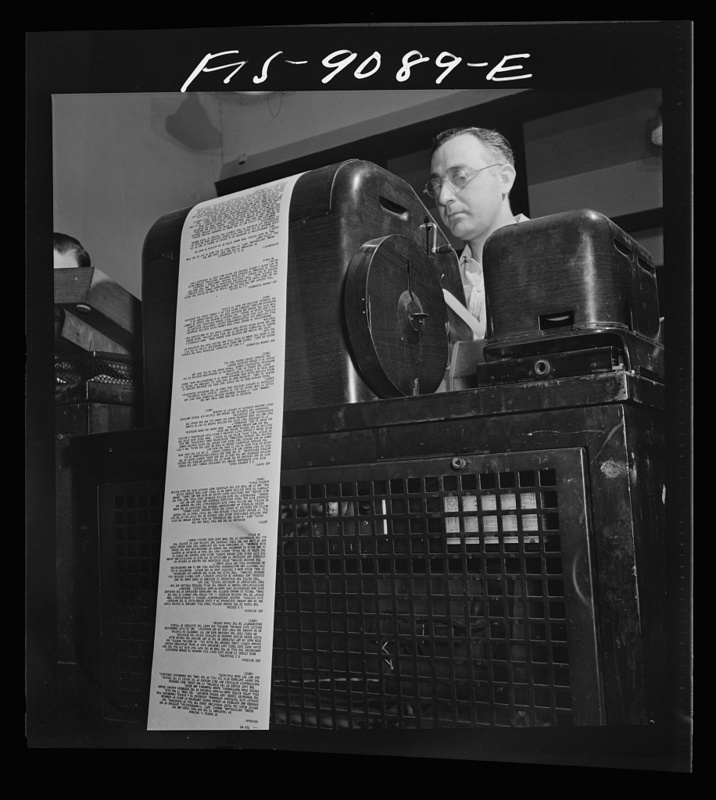 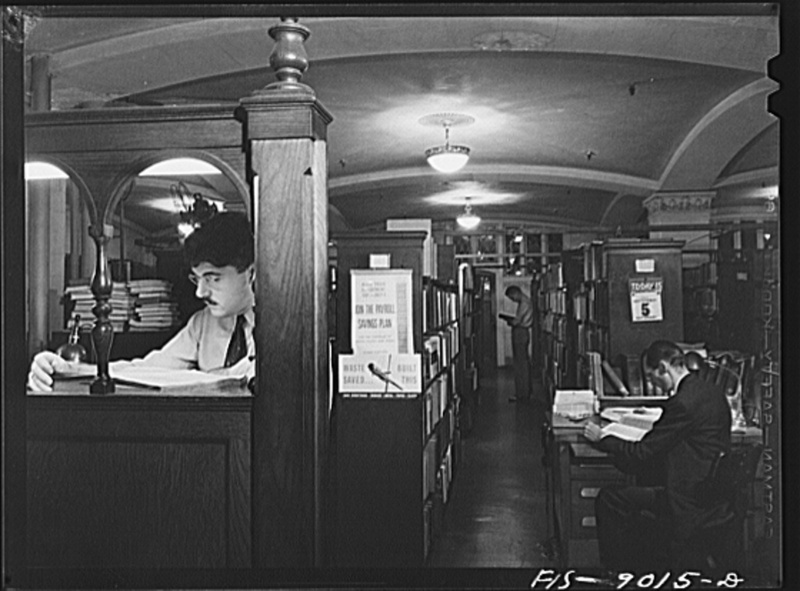 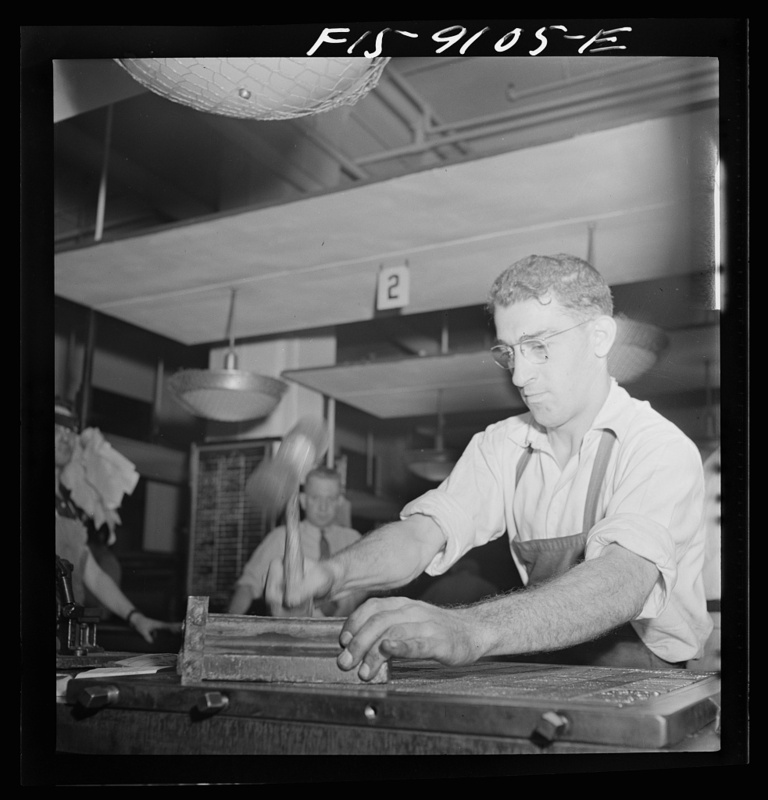 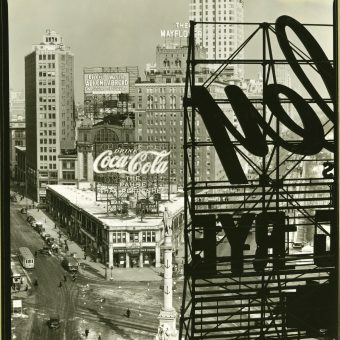 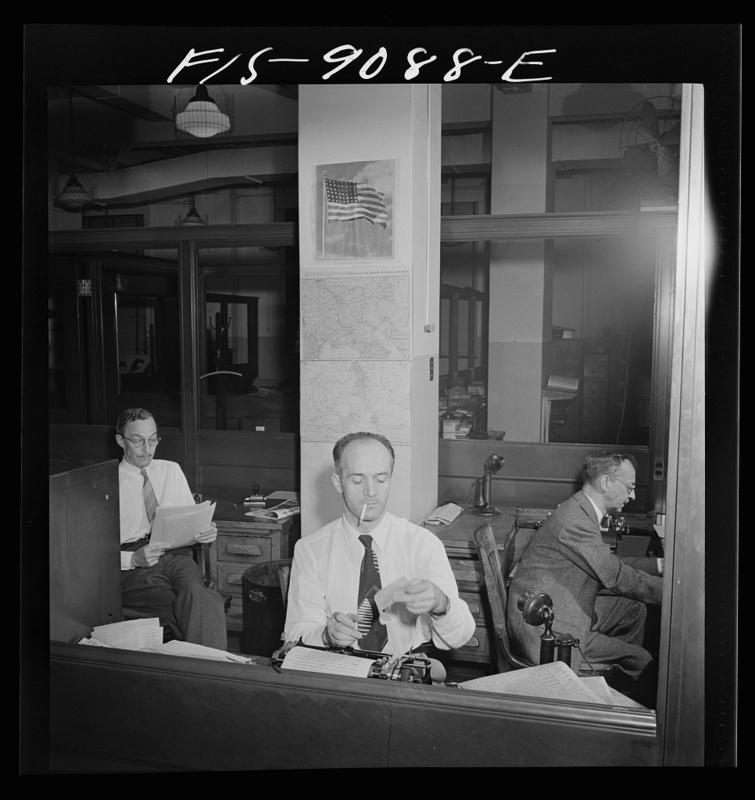 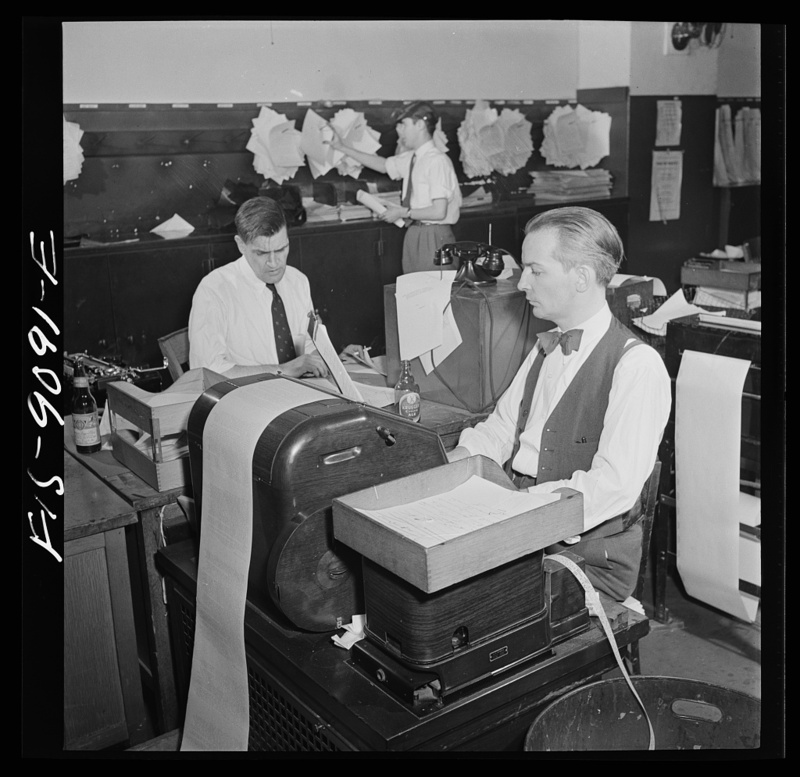 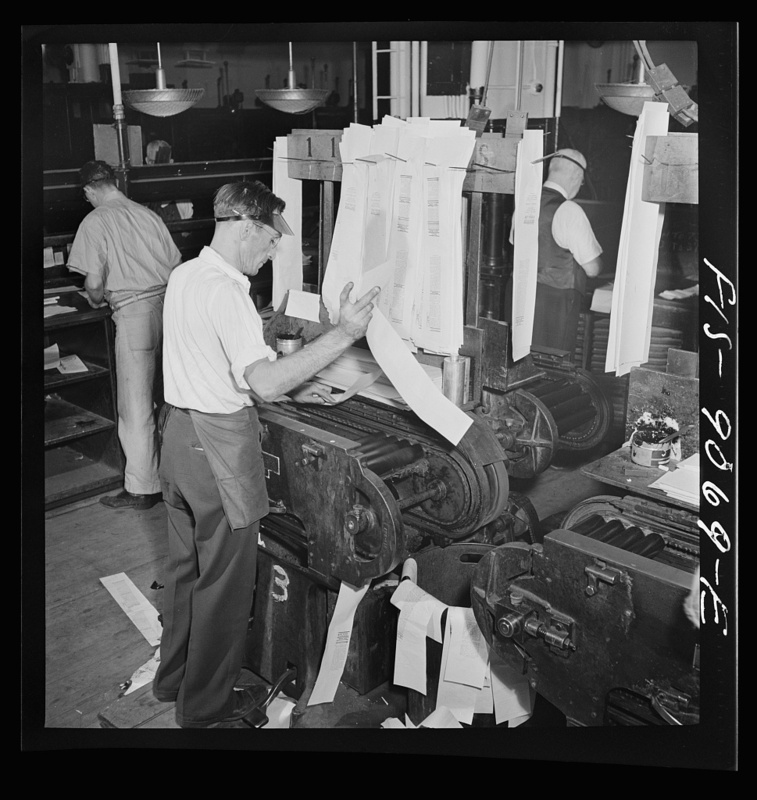 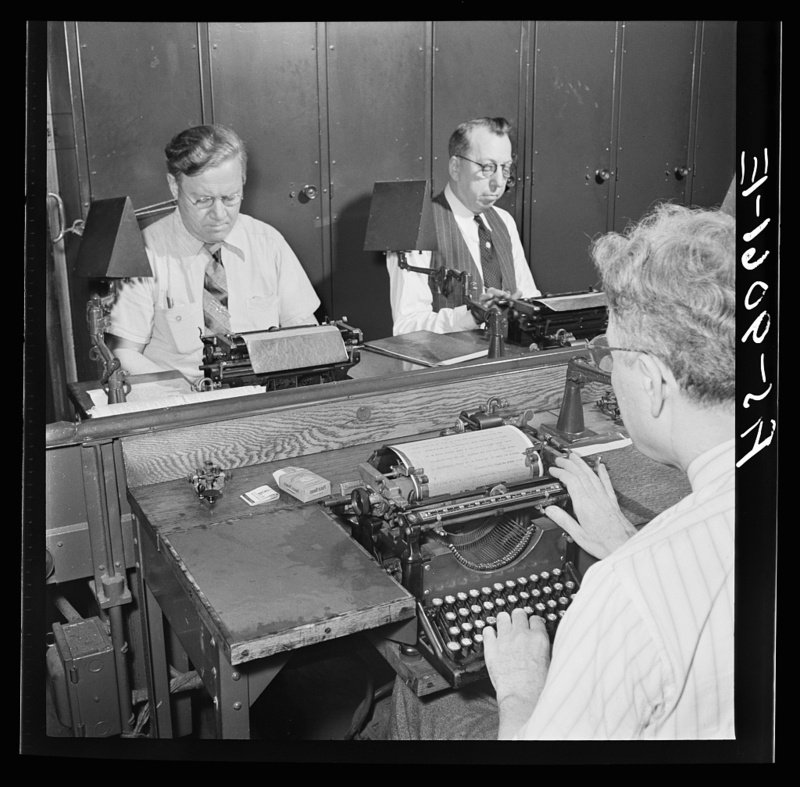 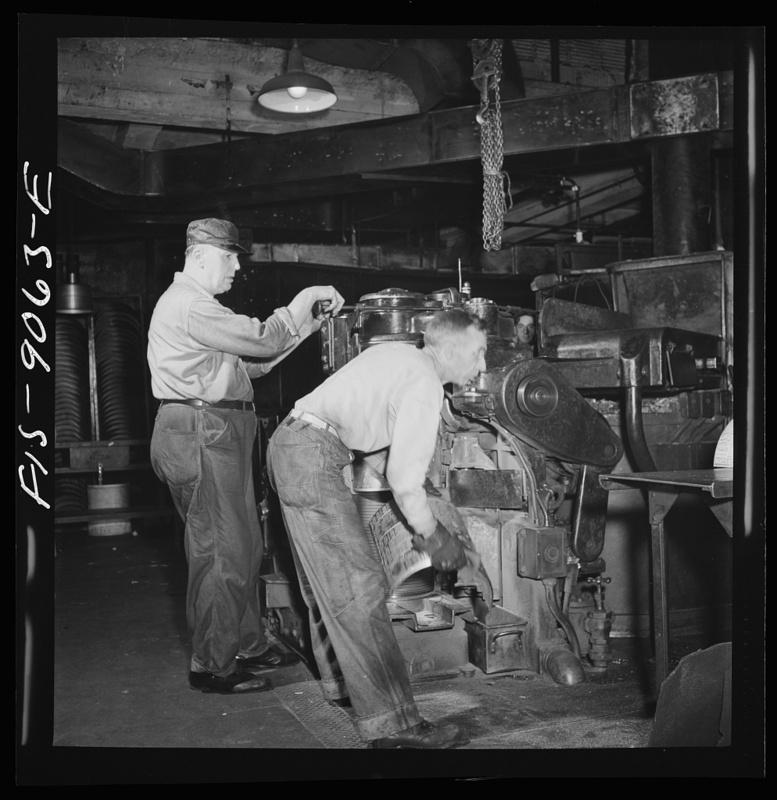 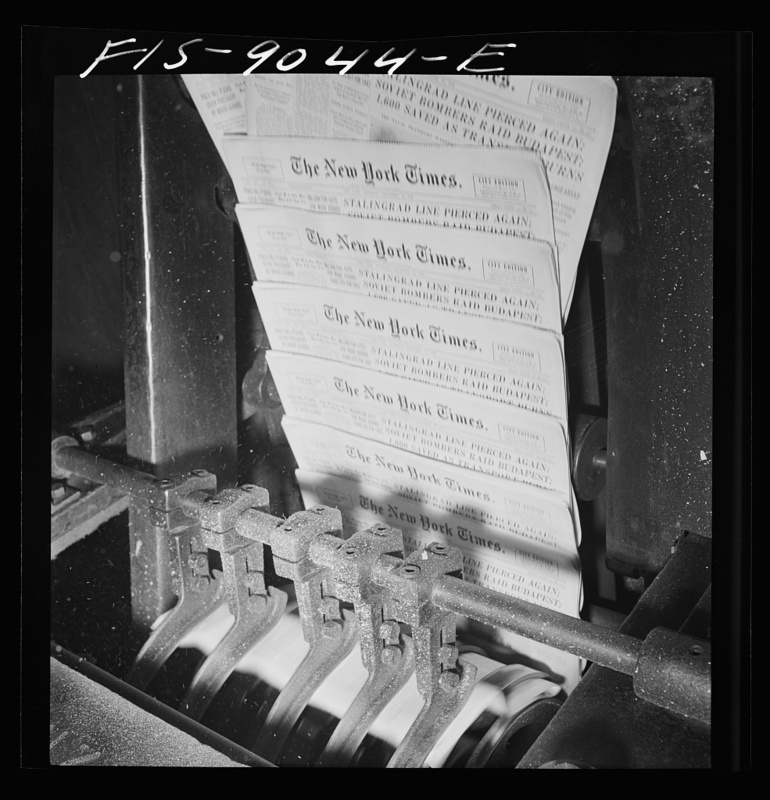 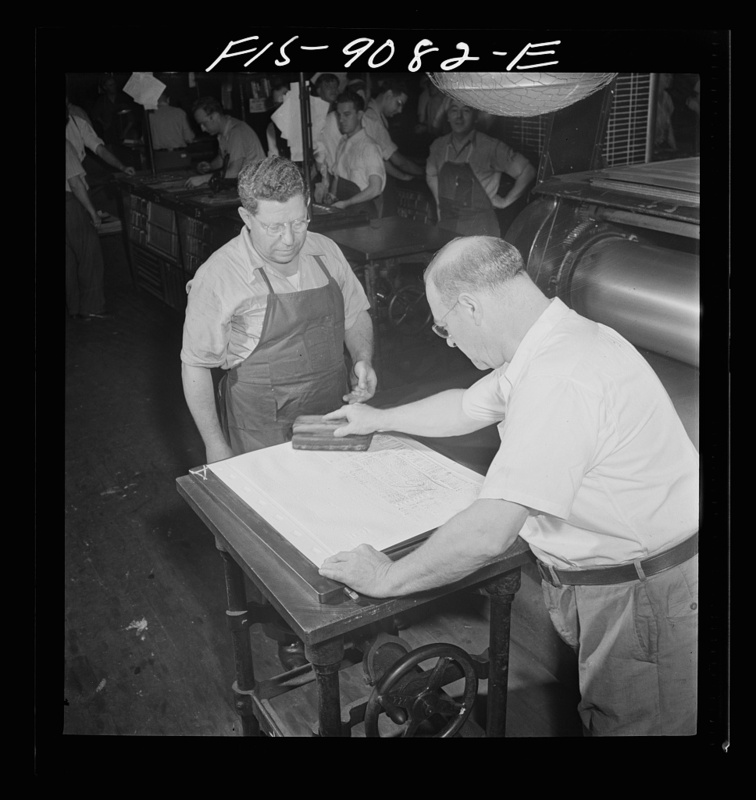 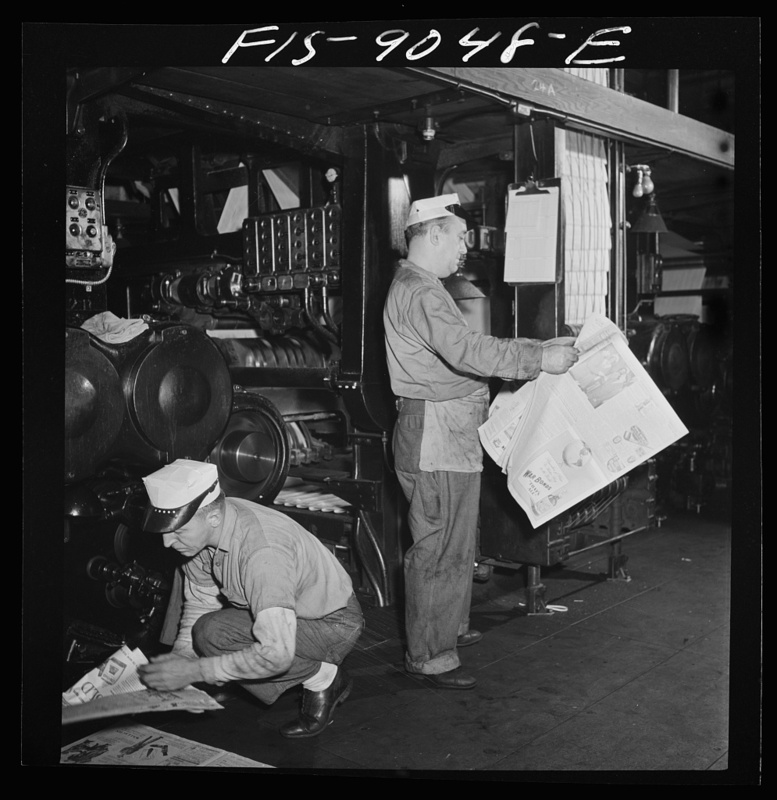 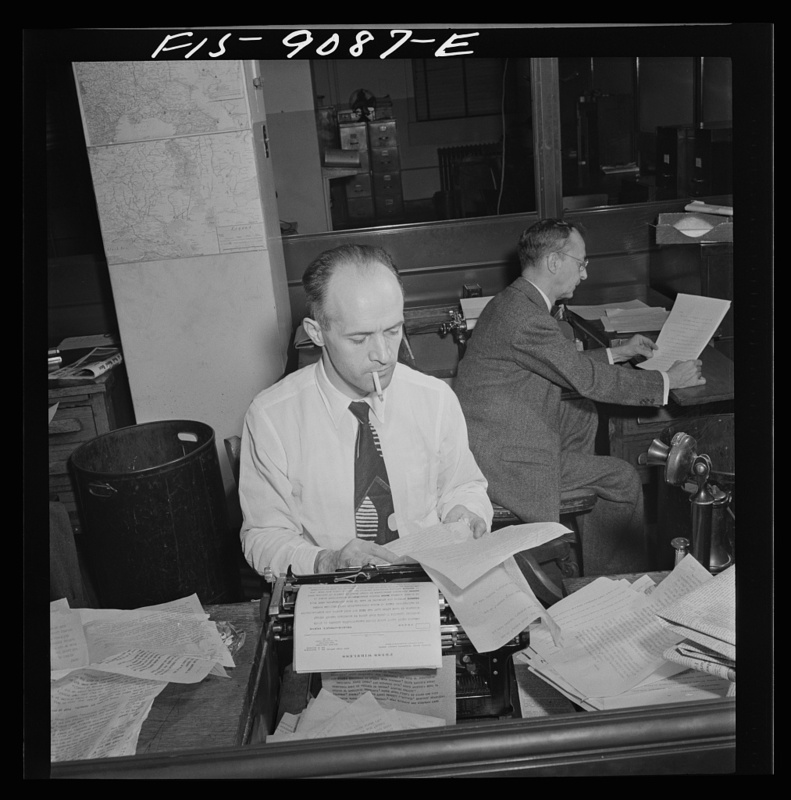 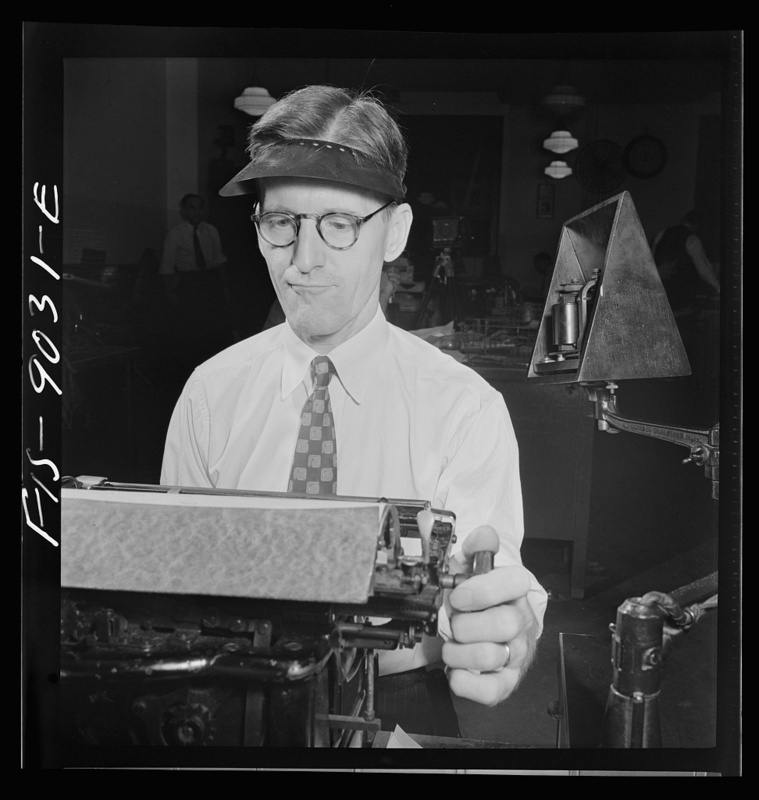 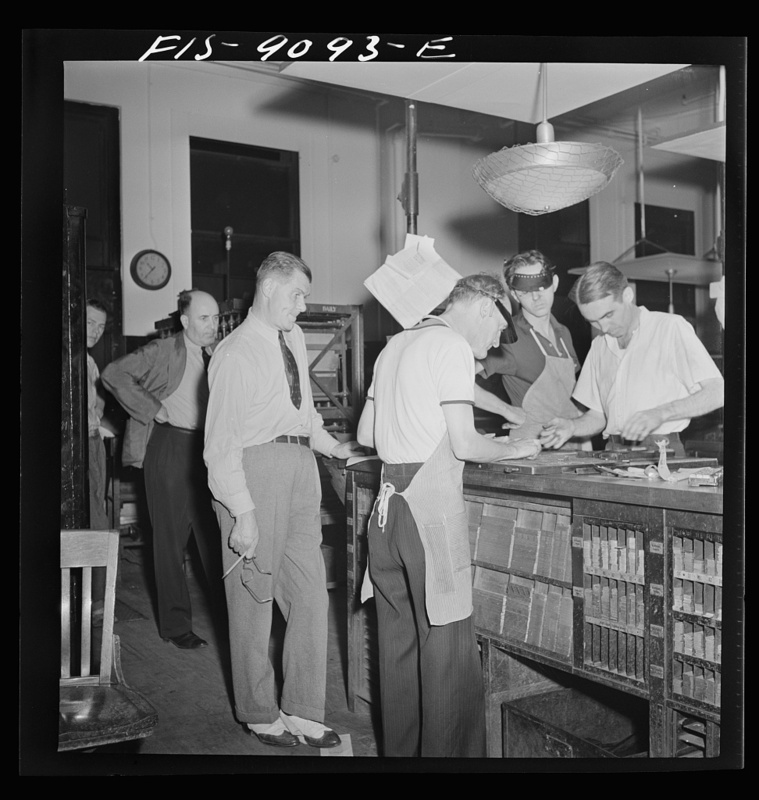 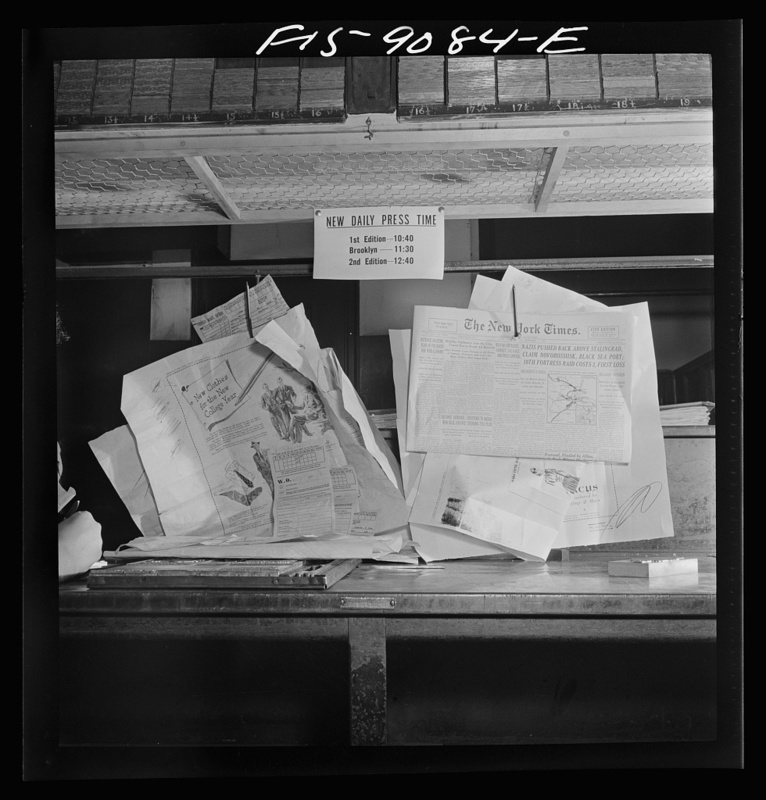 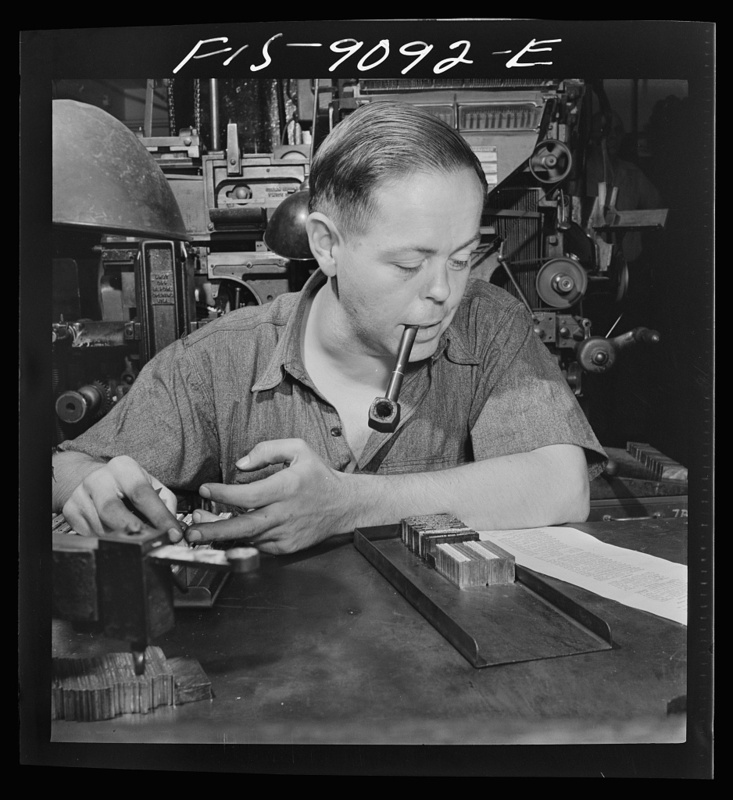 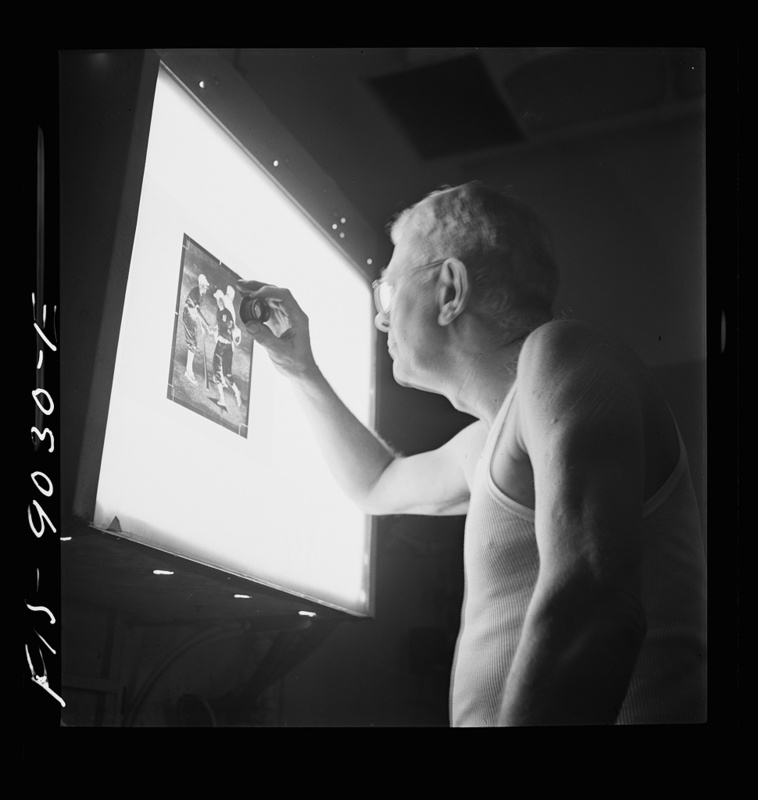 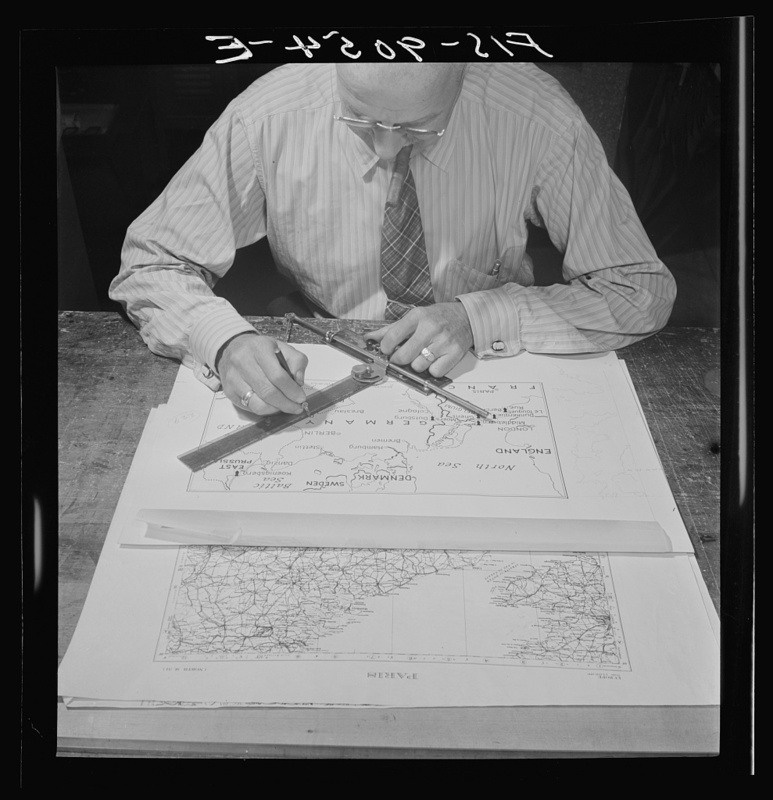 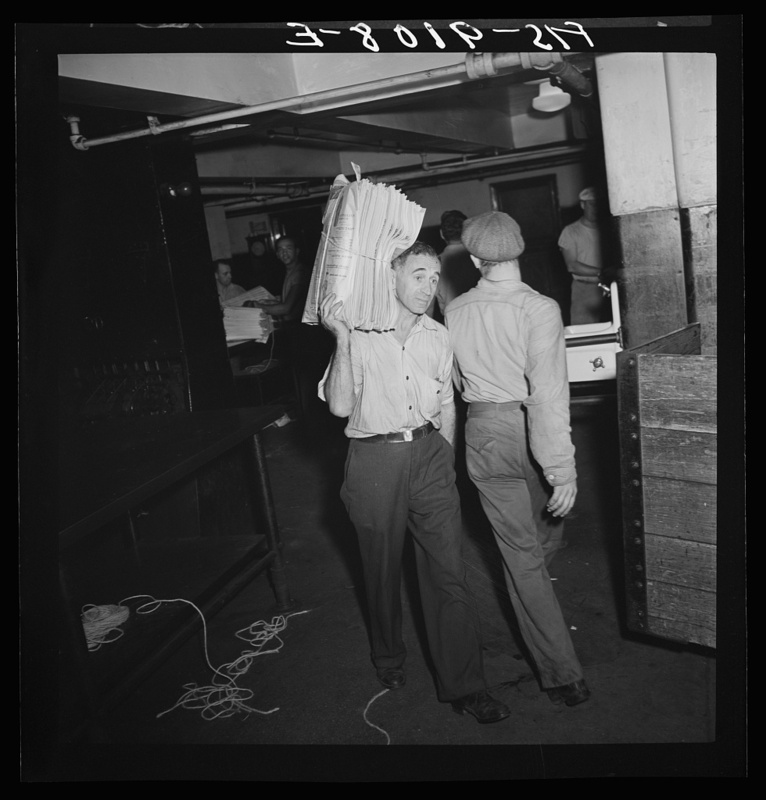 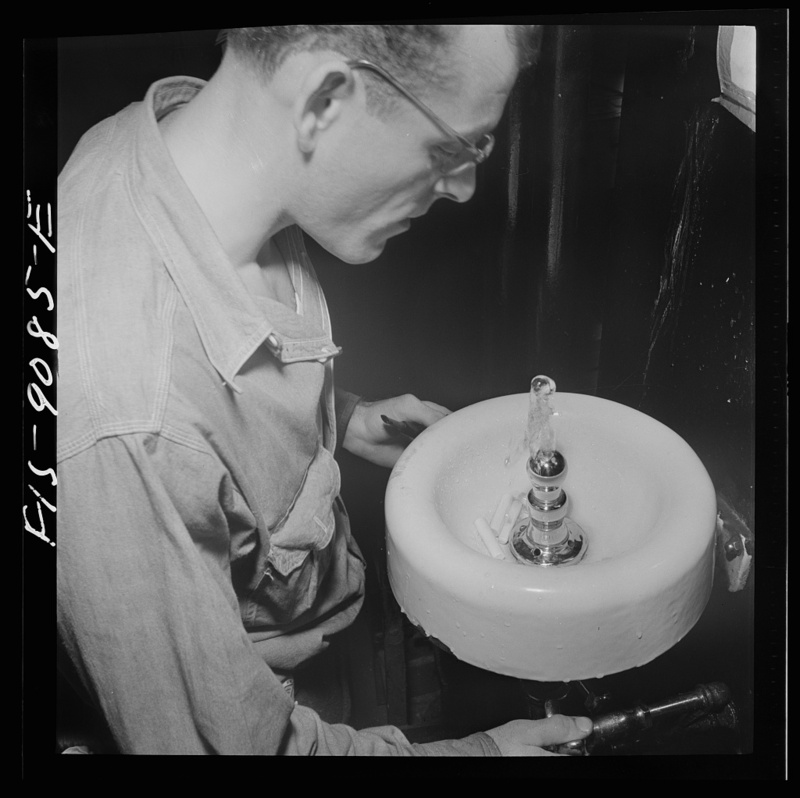 On Thursday, Sept. 10, 1942 Office of War Information photographer Marjory Collins recorded life at The New York Times newspaper. 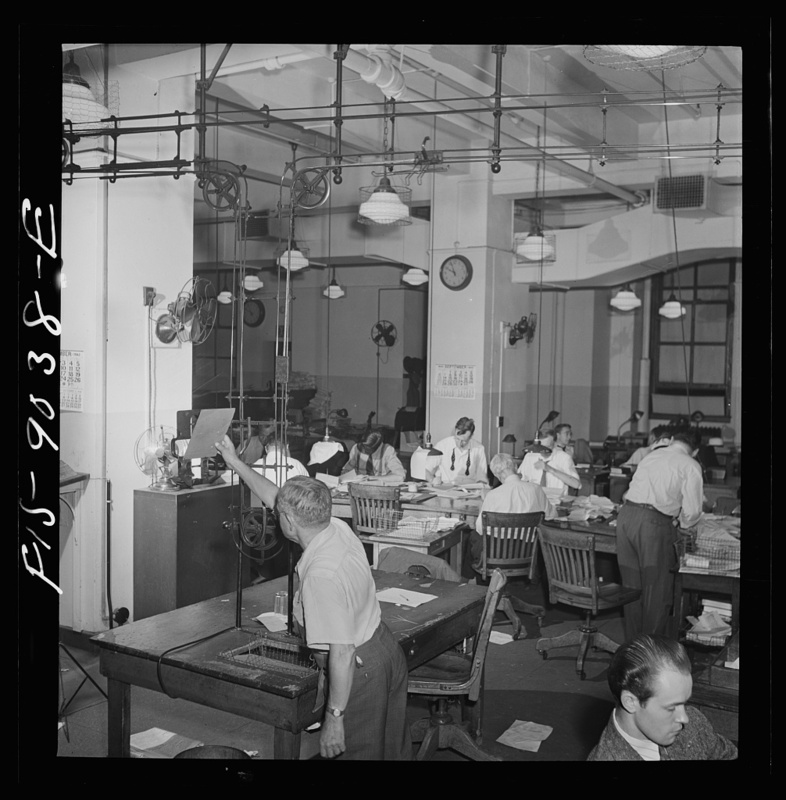 Wire room of the New York Times newspaper. 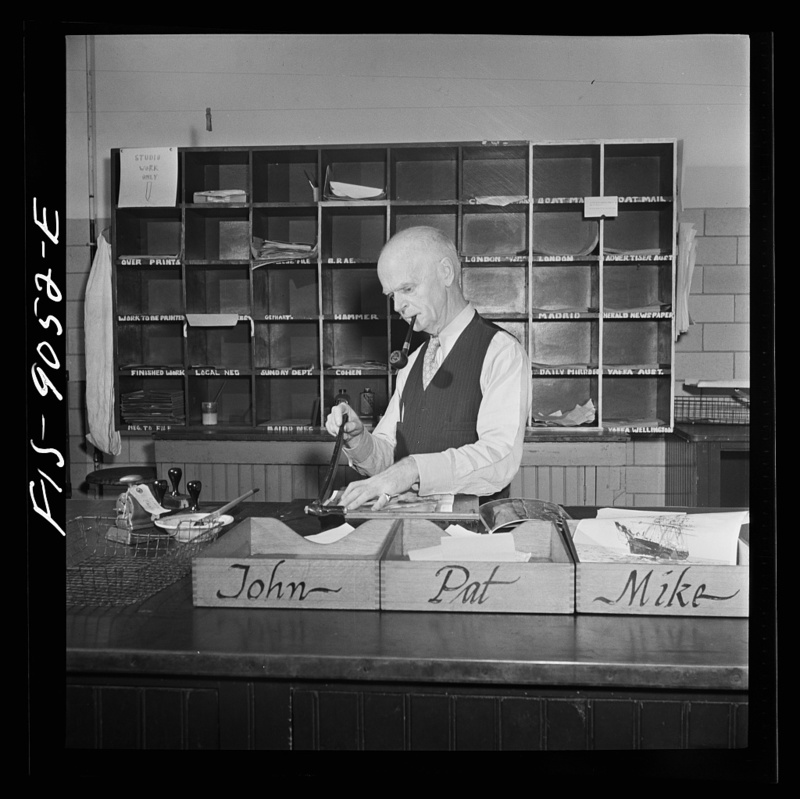 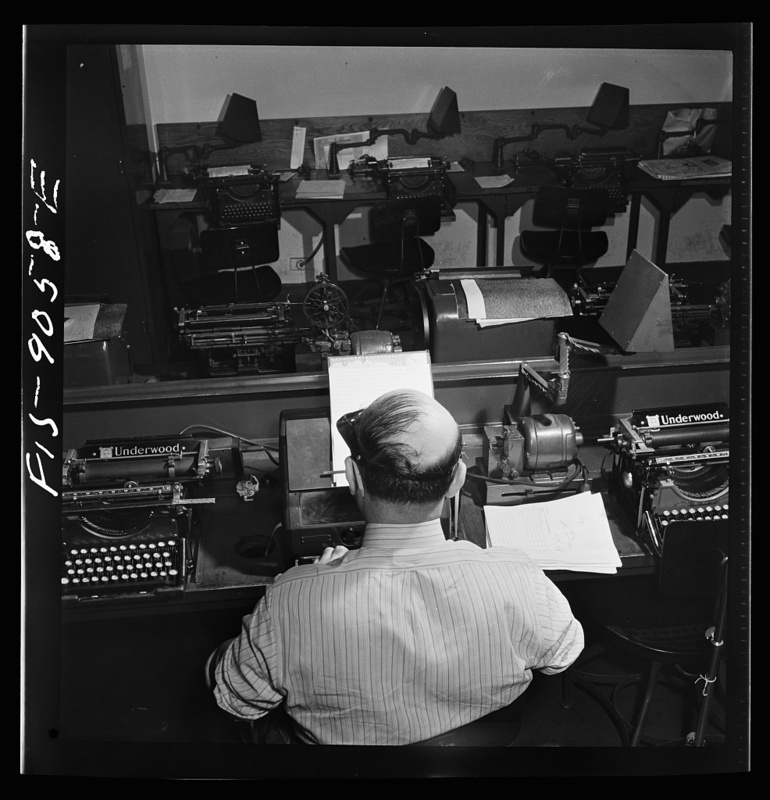 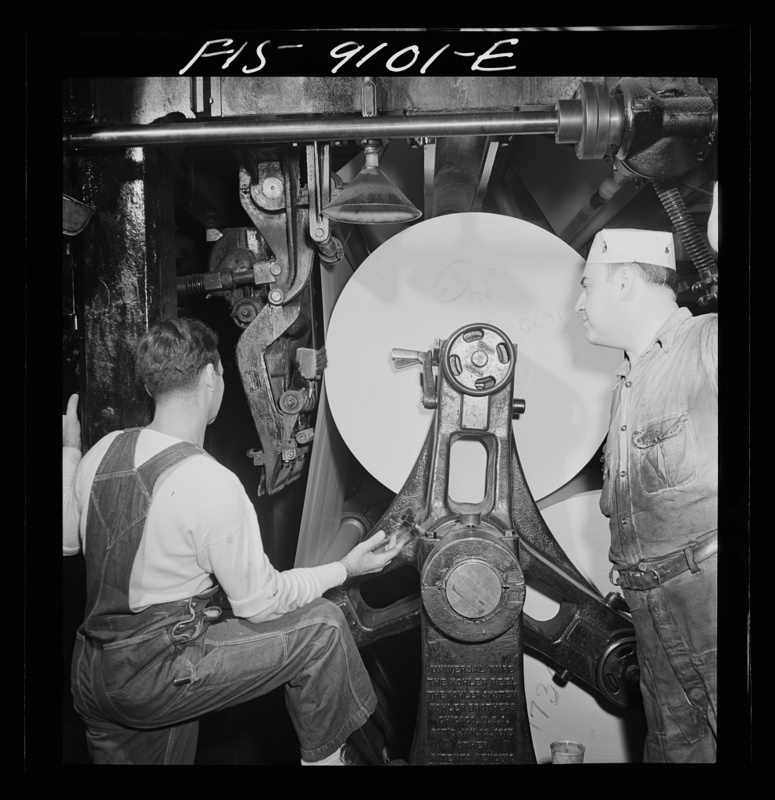 Telegraphers receive and record messages received by Western Union and Postal Telegraph from Times correspondents all over the United States. 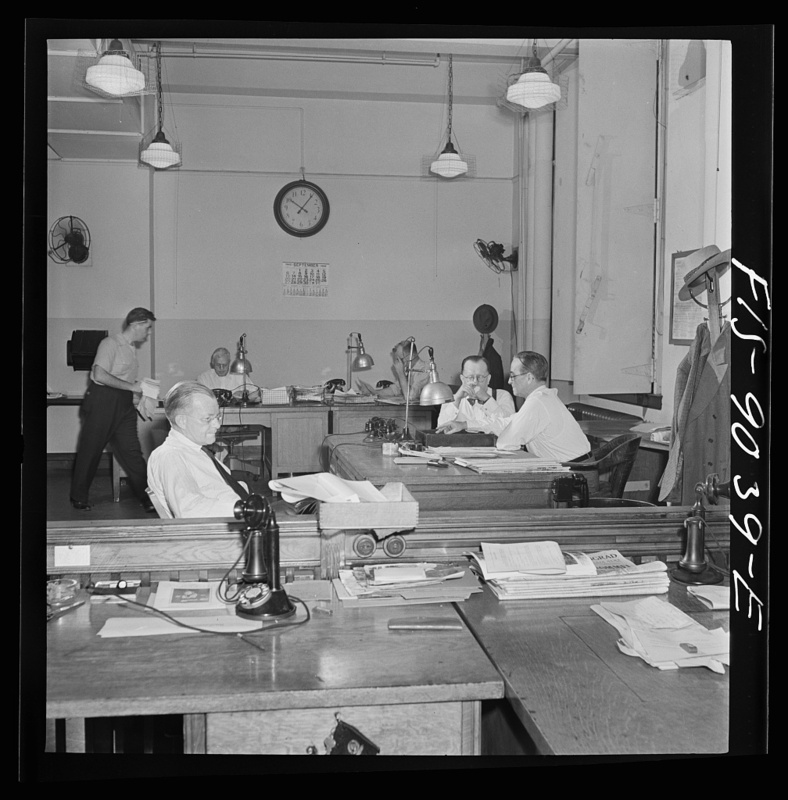 Telegraph room of the New York Times newspaper. 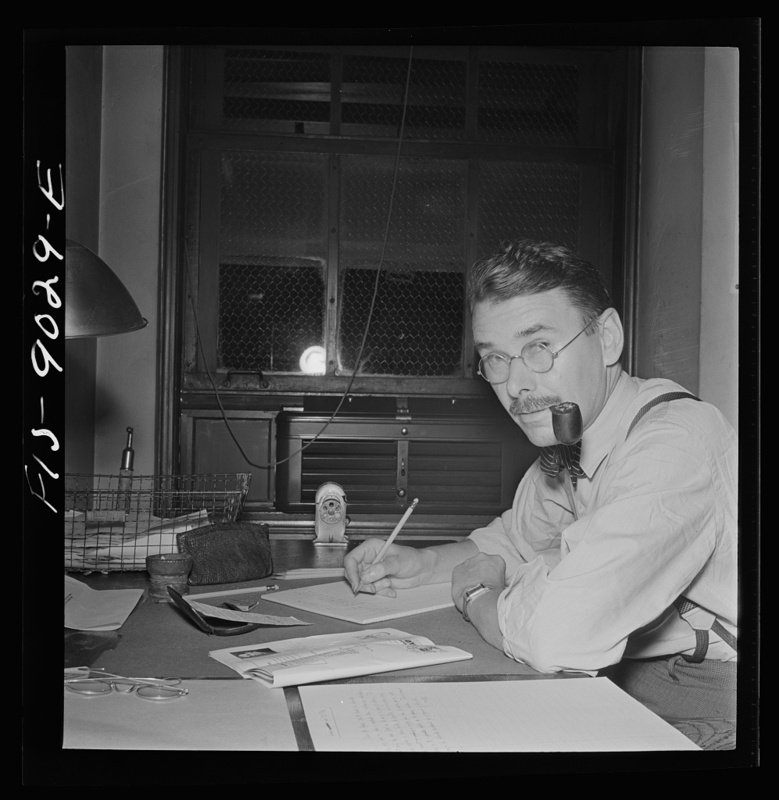 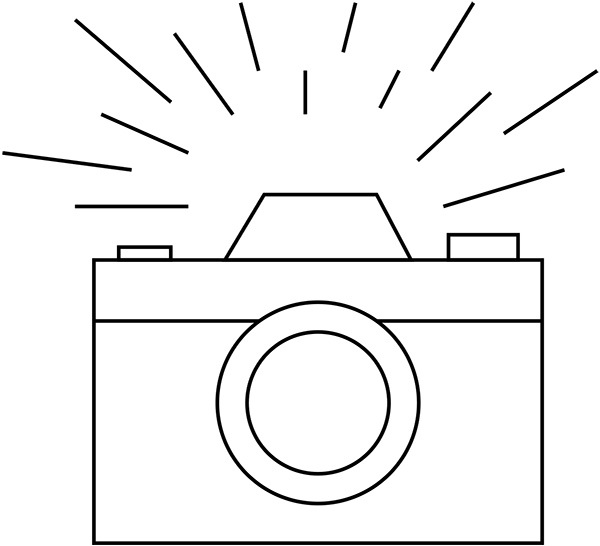 Telegrapher on the direct wire from Washington, D.C.